Note: A drop box is located outside the main front entrance for items being dropped off after hours. NOTARY PUBLIC : Library Director, Celia Bandelier, is a Notary Public. She will notarize your papers as long as you have proper ID. The library will be charging $2.00 for this service. Celia will be available to notarize your paperwork during most of the library operating hours except for lunch hour between noon and 1 pm and the times when she is called away from the library. To see the Policy for this service, click Notary Public. NOTE: Copy or Printing on color paper double fee charged unless the patron brings their own paper. Note: Scanning to Print is double the normal printing cost. 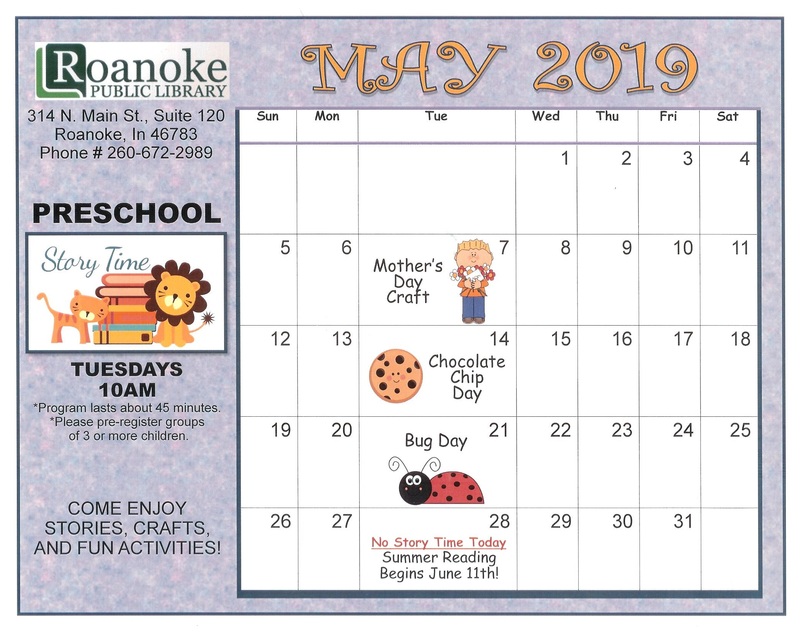 FREE STUDENT CARDS :The Roanoke Public Library offers all Roanoke Elementary School students, who live outside the town limits, a free library card . This card is good only at the Roanoke Public Library for one year. The Principal has the paperwork that must be completed and brought to the library to receive a library card. A parent or legal guardian with their driver’s license must also accompany the student. 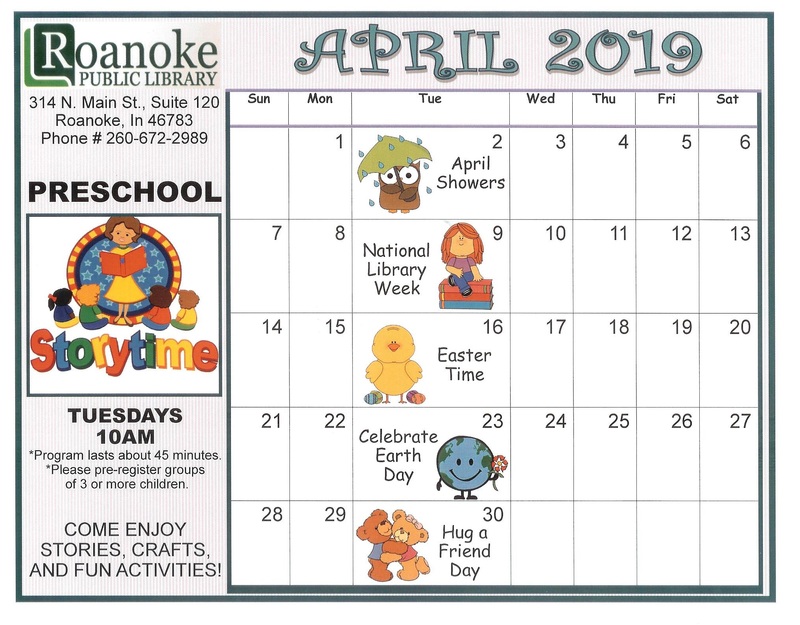 The card must be renewed each year the student is at Roanoke Elementary School. INTERNET: The Roanoke Public Library has 6 computers that are open to the public. All are connected to the Internet. WIRELESS INTERNET: The Roanoke Public Library is a FREE wireless Internet hub. There are also outlets available to plug your apparatus in if charging is needed. CD/DVD REPAIR: For $1, the Roanoke Public Library will attempt to repair your DVDs or CDs. We can remove minor scratches but we can’t help with cracks. There is no guarantee that the process we use will make your DVD or CD better. PROCTORING/TEST MONITORING: The Roanoke Public Library will monitor/proctor test taking for students or potential employees at no cost. For more information, see Test Monitoring Policy. MEETING ROOM: The Roanoke Public Library has a meeting room available for public use. Restrictions do apply. To see the rules and regulations for the Meeting Room use, see Meeting Room Policy. It's Saturday 3:04 AM — Sorry, we're closed . 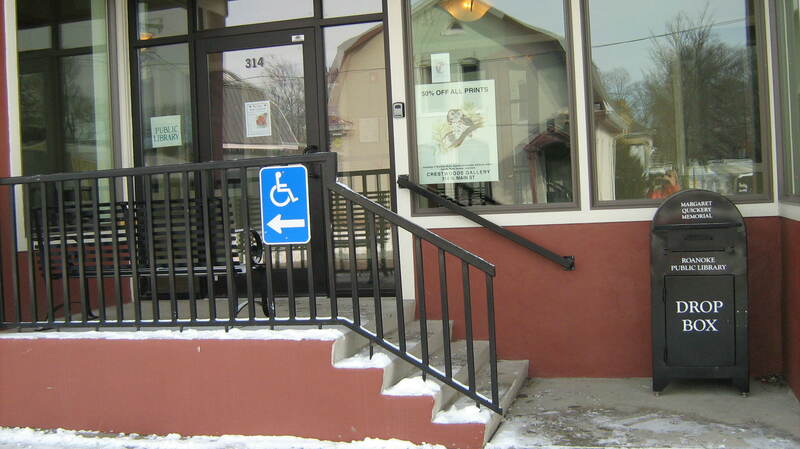 Hope you can come when we're open.